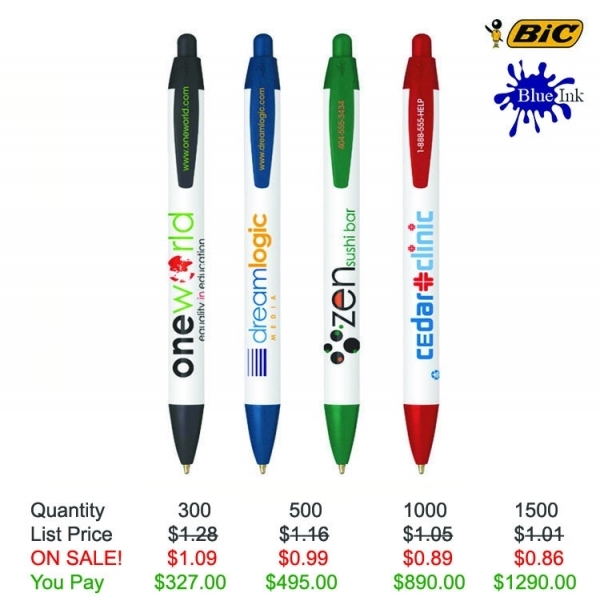 The BIC (R) Ecolutions (R) WideBody (R) ballpoint will give your brand name the "wide" profile it deserves! This eco-friendly pen is made with a white barrel and a wide profile design from 72% recycled plastic parts acquired from manufacturing plants for reuse, then flaked, mixed and melted to pre-consumer recycled plastic pellets. 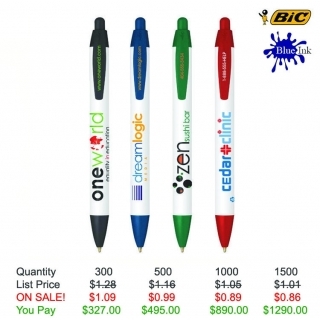 The USA-assembled pen offers a large imprint area for your silkscreen. We have recently transitioned to a new ordering system. 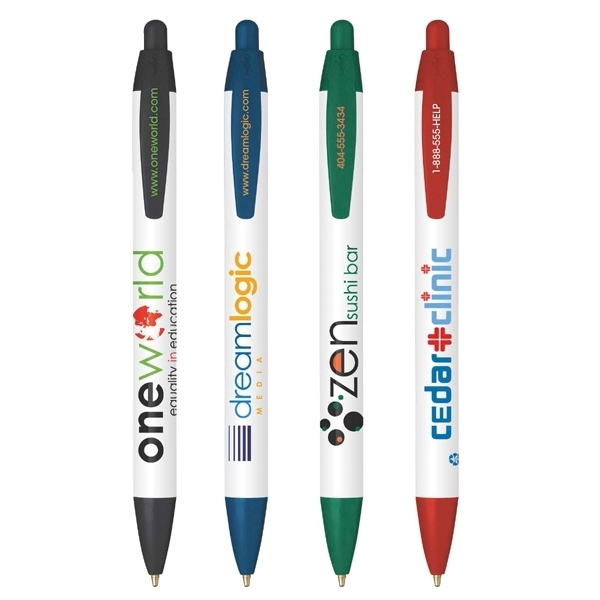 Product Features: Wide-profile design with large imprint area. Item Size: 5/8 " x 5 9/16 "